The company’s second-quarter results, released after the close of the market Thursday, included net revenue of $5.3 billion, up more than 19 percent compared with Q1 of 2017. On Friday, March 16th, Jabil (NYSE: JBL) published preliminary, unaudited financial results for its second quarter of the fiscal year of 2018, including second-quarter net revenue of $5.3 billion. For the second quarter of the fiscal year 2018, U.S. GAAP operating income was $129.5 million and U.S. GAAP diluted earnings per share was $0.21. Second quarter of fiscal year 2018 highlights include: Diversified Manufacturing Services (DMS) revenue growth of 38%, Electronics Manufacturing Services (EMS) revenue growth of 7%, core operating income (Non-GAAP) of $178.6 million, and core diluted earnings per share (non-GAAP) of $0.66. “I’m pleased with the results of our second quarter, which was characterized by strong revenue growth, core operating income expansion and healthy cash flow generation,” said CEO Mark Mondello. “Additionally, we invested in several key new programs, returned approximately $150 million to shareholders via our capital return program and successfully renewed 10- year senior notes at a more favorable rate. These activities, both operational and strategic, position us well as we remain focused on diversifying our earnings and cash flows,” he added. Electronics Manufacturing Services (EMS) revenues (representing 54% of revenues) were up 7% year over year to $2.9 billion backed by growing number of customers in capital equipment, industrial, energy and automotive sectors. Diversified Manufacturing Services (DMS) revenues (46% of revenues) increased 38% year over year to approximately $2.4 billion, driven by strength in mobility, lifestyles and healthcare businesses. In regards to operating details, the company’s core operating income increased 17.8% year over year to $178.6 million. However, core operating margin remained unchanged at 3.4%. Increase in investments in the EMS segment coupled with cost overshoot in the packaging business impacted margins. Jabil exited the quarter with cash and cash equivalents of $940.8 million compared to $746.3 billion in the previous quarter. During the quarter, cash flow from operations was $352 million. At the end of the quarter, the company has $225 million outstanding under the current stock repurchase authorization. Diversified Manufacturing Services: Increase revenue 10 percent year-on-year to $1.85 billion. Total company: Increase revenue 9 percent year-on-year, in the range of $125-$165 million. Jabil anticipates $30 million of restructuring expenses in the second half of fiscal 2018. It expects to achieve $20 million to $30 million in cost savings in fiscal 2019. “Looking ahead to the second half of fiscal 2018, we expect the broad-based growth across both of our segments to continue as we approach $21 billion in revenue for the year. At the same time, we remain committed to delivering $1 billion in operating cash flows and core earnings per share of approximately $2.60 for the year,” added Mondello. Based on the above, my opinion is that Jabil is predicted to continue outperforming the market. Already, as mentioned in their press release, Jabil has portrayed their financial expectations for Q3: they expect net revenue growth of 6%, as well as Non-GAAP operating income growth of 58%. Given these expected financial results, investor confidence is bound to increase, just as it had increased since Friday after the press release. JBL is also expected to show a growth of 32% in core operating income, as well as their DVS, EMS, and the company as a whole are predicted to grow by 10%, 8%, and 9%, respectively. Since JBL’s fundamental metrics seemingly are expected to improve, I expect that investors will keep a close eye on JBL, as they continue to publish future press releases and impressive financial information. 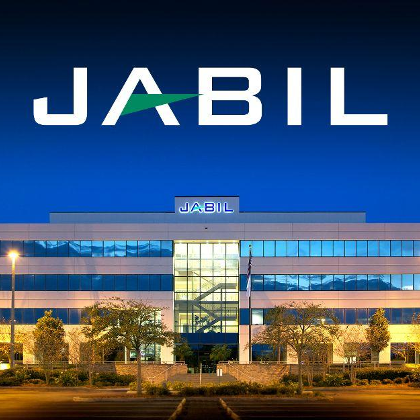 As such, we have seen that the I Know First algorithm accurately predicted the signal and direction of Jabil’s stock over the past month, before the stock hike occurred on Friday morning. In accordance with the forecast, it is evident that the company is in growth stages as they aim to achieve a plethora of objectives for the full year ending December 31, 2018. As a result, Jabil has demonstrated unique stock performance as per the algorithm predictions, and aims to continue this performance boost throughout 2018. In accordance with the forecast, JBL stock returned more than 10% on Friday alone, highlighting the accuracy of the prediction produced by the algorithm. We have yet to see the result of Jabil’s success in the coming months, as we are confident that Jabil is in an upward trajectory and it expected to grow in the coming months, as they develop and publish positive results. On February 19th, 2018, The I Know First algorithm gave bullish signals for Jabil Inc. for the 1-Month forecast length based on algorithmic market trends. On March 19th, JBL’s stock performance demonstrated superb results, climbing 17.67% over the past month alone, confirming the algorithm’s prediction of Jabil’s strength even before it had occurred. The signal of the JBL forecast was 5.73 and the predictability was 0.37. Thus, it is evident that the stock climb this week falls in accordance with the algorithm’s future forecast. Below is the March 20th forecast for 1-Month, 3-Month, and 1-Year time horizons. It should be noted that the signal of the 1-Month JBL forecast had increased from the February 19th forecast (i.e. 52.85 signal and 0.37 predictability) to the forecast for March 20th, which had a signal of 53.85 and a predictability of 0.38. Current I Know First subscribers received this bullish JBL forecast on February 19th, 2018. The numbers located in the bottom right indicate predictability scores, all of which are above .30 demonstrating a strong historical correlation and predictability value between past algorithmic predictions and the actual market movements for each particular asset. Scores above .30 such as the three forecasts below, indicate excellent success in I Know First’s algorithm in correctly predicting the stock’s movements. The sign of the signal tells in which direction the asset price is expected to go (positive = to go up = Long, negative = to drop = Short position), the signal strength is related to the magnitude of the expected return and is used for ranking purposes of the investment opportunities. Predictability is the actual fitness function being optimized every day and can be simplified explained as the correlation-based quality measure of the signal. This is a unique indicator of the I Know First algorithm. This allows users to separate and focus on the most predictable assets according to the algorithm. Ranging between -1 and 1, one should focus on predictability levels significantly above 0 in order to fill confident about/trust the signal. Jabil Inc. provides electronic manufacturing services and solutions worldwide. The company operates through two segments, Electronics Manufacturing Services and Diversified Manufacturing Services. It offers electronics design, production, and product management services. The company provides electronic circuit design services, such as application-specific integrated circuit design, firmware development and rapid prototyping services; and designs plastic and metal enclosures that include the electro-mechanics, such as the printed circuit board assemblies (PCBA). It also specializes in three-dimensional mechanical design comprising the analysis of electronic, electro-mechanical, and optical assemblies, as well as offers various industrial design, advance mechanism development, and tooling management services. In addition, the company provides computer-assisted design services consisting of PCBA design, and PCBA design validation and verification services; and other consulting services, such as the generation of a bill of materials, approved vendor list, and assembly equipment configuration for various PCBA designs. Further, it offers product and process validation services that include product system, product safety, regulatory compliance, and reliability tests, as well as manufacturing test solution development services. Additionally, the company offers systems assembly, test, direct-order fulfillment, and configure-to-order services. It serves automotive and transportation, capital equipment, consumer lifestyles and wearable technologies, computing and storage, defense and aerospace, digital home, healthcare, industrial and energy, mobility, networking and telecommunications, packaging, point of sale, and printing industries. The company was formerly known as Jabil Circuit, Inc. and changed its name to Jabil Inc. in June 2017. Jabil Inc. was founded in 1966 and is headquartered in St. Petersburg, Florida.